With the official colors of CST Tires, the French Eric Abel and Christian Manez (#341) have crossed the milestone of the first special of Dakar 2019 with a time of 1h20’09”: ” It was a fun workout in view of the stages more challenging that will start in the coming days – explains Christian Manez – In the 84 km of this first special we faced dunes of medium height, oued with sand and stony bottom and finally a cord of dunes that led us up to the finish line”. 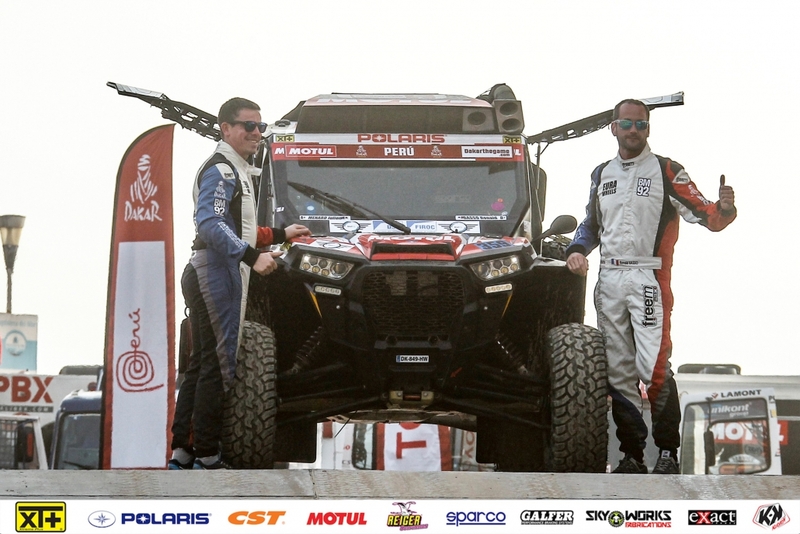 After winning second place at last year’s Abu Dhabi Desert Challenge, Polish driver Maciej Domzala, sailed by fellow countryman Rafal Marton, brought the Polaris RZR 1000 Turbo #376 at the end of this special race by taking a time of 1h39’29”. For Maciej, today’s special stage was a good test to become familiar with Polaris. 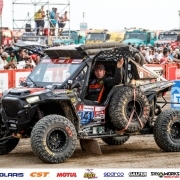 The debut in the Dakar of the Mexican Santiago Garcia Creel, sailed by the Polish Szymon Gospodarczyk, saw the Polaris RZR #362 pilot win the second best time for the French team of Gorrevod with 1h34’02”: “I had a lot of fun riding sand and this special was a good test to start the Dakar – comments Santiago – The dunes of today have not been difficult but surely from tomorrow the games will get tougher “. Good test finally for the French crew #359 composed by Ronald Basso and Julien Menard who concluded the SS in 1h37’18”, late at the finish line because of a puncture that unfortunately made him lose about ten minutes. Just over 1h54′ of time for Marco Piana, sailed by the Swiss Steven Griener, to finish the 84 km of today’s special stage, always remaining available as a quick assistance for the 4 Polaris RZR. 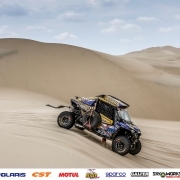 For tomorrow, January 8, the path of the Dakar 2019 provides 211 km of liason and 342 of special: the crews will leave from Pisco to reach San Juan de Marcona. Starting first among the ranks of Xtreme + will be Abel/Manez at 6:40 followed by Creel/Gospodarczyk at 6:56 and by Basso/Menard at 6:58. To conclude the order of departure of the French team, Domzala (7:00) and the team manager Piana (7:08:30). After the technical and administrative checks of the past few days, the Xtreme+ crews have taken off at the wheel of the performing Polaris RZR 1000 Turbo prepared in the French workshops of Gorrevod. Official bearer of CST Tires, the French Eric Abel and Christian Manez (#341) will take to the track tomorrow for their first participation in the most famous rally in the world: the two friends, who have a long history of participation in rally-raids, support also the Leo Association that is dedicated to small patients with myelomas. From Poland, Maciej Domzala with Rafal Marton, on Polaris RZR 1000 Turbo #376, will be at the start of his second race after the Abu Dhabi Desert Challenge of 2018 in which he won the second overall finish. The goal of the Polish driver is to cross the finish line of this edition of the Dakar alongside a co-pilot who boasts ten rally races as well as Cross Country championships in Poland and Europe. 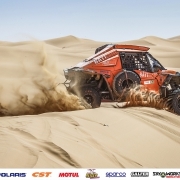 Debut in the Dakar also for the Mexican Santiago Garcia Creel in the race with the Polaris RZR 1000 Turbo #362: to sail the winner of prestigious competitions including Baja 1000, Baja 500 and San Felipe 250 there will be the Polish Szymon Gospodarczyk. With the number #359 the Dakar 2019 will see Ronald Basso paired with Julien Menard. Both French, they competed together with the Merzouga Rally, the Baja Portalegre 500 and the Dakar rally in the car category. Third on Polaris RZR at Merzouga 2017, they will face this new challenge with the colors of the French Xtreme+ Team. Finally, the Xtreme Plus Team Manager, Marco Piana, will take to the track with the Toyota Land Cruiser #380 as a quick assistance to Polaris crews. At his side, the Swiss co-driver Steven Griener. 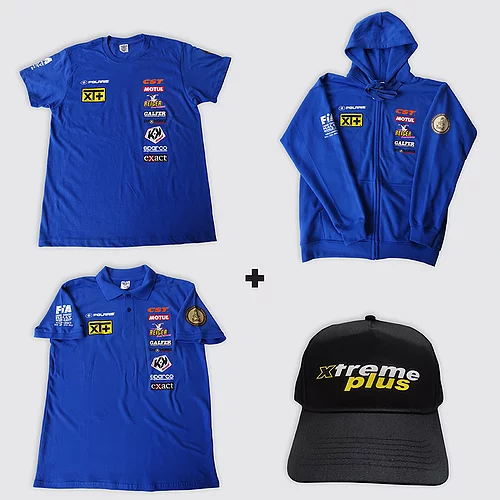 To make the Dakar adventure possible, Xtreme Plus pilots and co-pilots will have a strong team of mechanics available for a total of 5 support vehicles (2 Man 4×4, 1 Renault Mascot, 1 Renault Kerax and 1 Ford 150 press car) available from bivouac to bivouac in addition to the fast assistance vehicle engaged in the race. Tomorrow, January 7th, the Dakar 2019 will start with the first stage that from Lima will head to Pisco for a total of 331 km of which 247 of liason and 84 of special: the route will accompany the crews from the capital of Peru to the nice town overlooking the Pacific Ocean, in the region of Ica. Portalegre – Portugal (October 26th) – It was the rain the main protagonist of this first day of the Baja Portalegre 500: the bad weather made the race tracks in Alto Alentejo even more demanding than expected for the crews at the start of this last stage of the 2018 FIA Cross Country Rally World Cup. 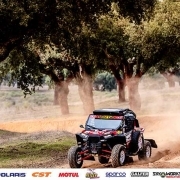 After the fourth time achieved in the prologue and the same at the SS2 “Avis-Portalegre”, the Spaniards José Luis Peña Campo and Rafael Tornabell Cordoba, on Polaris RZR 1000 (#613), are now about 8 minutes from the provisional leader Santiago Navarro. “Today’s track was very fast and we did well up to the last 20 km when, due to the heavy rain, the terrain becamealmost impractical, causing us to lose almost 8 minutes – comments Peña Campo – For tomorrow there is no water and it should be better even if there are scheduled two long special stages with very little assistance. We will certainly do our best!”. third best time in the prologue by cutting the finish line in just under 4’58” and taking the Polaris on the second step of the SS2 podium. Unfortunately, also due to the heavy rainstorm, a mistake a few kilometers from the end made the crew #649 of Xtreme+ run off-track, thus losing precious time to get back on track. To separate Piana from Navarro, after the first two SS, however, are only 3’36”. 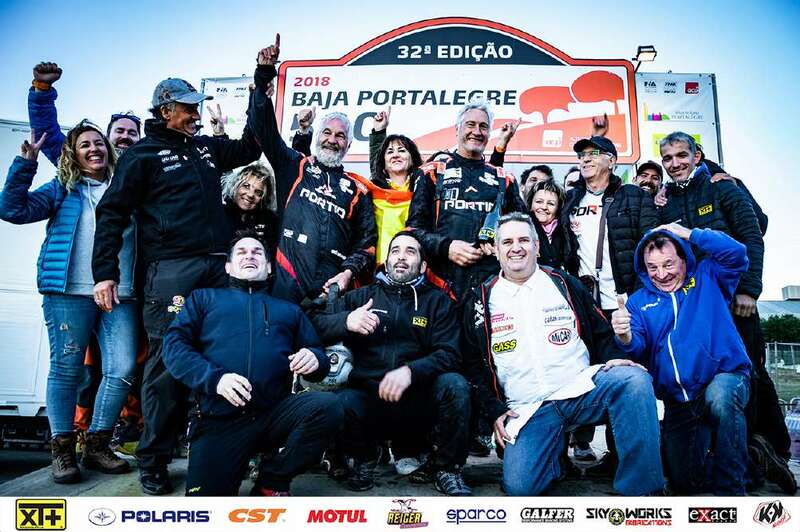 After recording the fifth time in the prologue concluded in 5’08”, Vincent Gonzalez, sailed by the French Loic Minaudier, has faced the second special of this edition of the Baja Portalegre 500 bringing the Razor to third place in the ranking, result that sees him now third of the provisional absolute. Despite the great difficulties in crossing a swollen water course due to the heavy rains, Graham Knight and David Watson managed to complete the special and tomorrow they will leave again for the last day of the Baja Portalegre. Saturday, October 27th, the crews will be engaged in two special stages, one of 191,75 km and the other of 211,75 km: at the end of these 400 km you will know the name of the winner of the World Cup title of T3. The Spanish Peña Campos wins the 2nd absolute placement in T3 at the Rallye du Maroc and retains the leadership in the World Cup. Gonzalez and Knight finish third and fourth (always in T3) while the Mexican Garza Rios is placed 11th among the SSV. 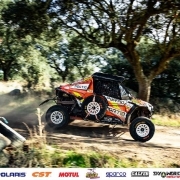 Next race: the Baja Portalegre, in Portugal, from October 25th to 27th. Erfoud, Morocco (October, 5th) – Cap Sud for this first stage of the Rallye du Maroc that, starting at dawn this morning from the imperial city of Fès, saw the competitors reach Erfoud, at the gates of the Moroccan desert, after a selective sector divided in two sections and a liaison of 322 km. On the longest day of the rally, the competitors left to face the first 130 km of transfer to Boulmane, place of start of the first part of the SS of the day. 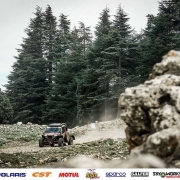 Technical an sailed manche, this special stage from Fès to Erfoud has been characterized (as will all the rally) by two different routes made for motorbike/quad/SSV and car/truck riders who, for safety reasons, they will each have their own track to follow. 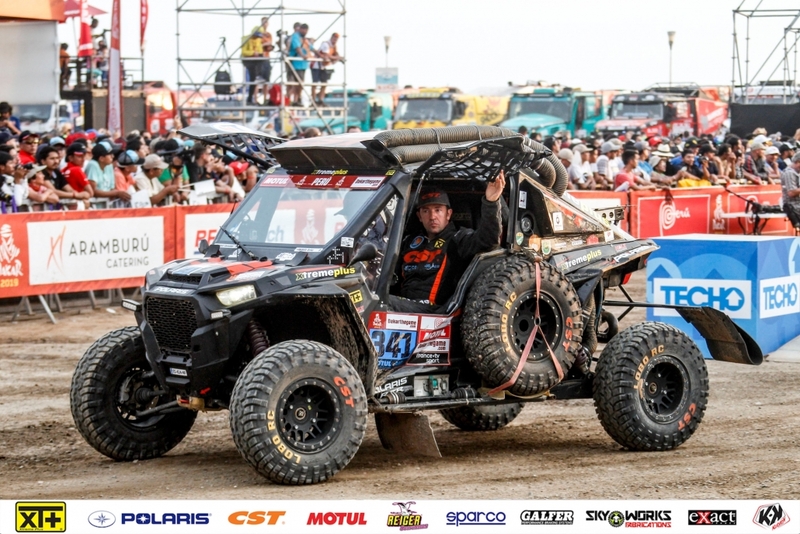 In the Xtreme+ ranks, among the SSV, the Mexican Santiago Creel Garza Rios, on the Polaris RZR 1000 Turbo, with the Polish co-driver Szymon Gospodarczyk, won the final finish in 4h24’27” taking off his best lap time at WP4. Left fast, the crew #202 has unfortunately been delayed to the finish line for the breaking of the front triangle of the Polaris: at km 11, during the overtaking of another vehicle, Garza Rios has indeed hit a big stone because of the poor visibility due to dust but was able to repair the damage and start again even if with great delay. 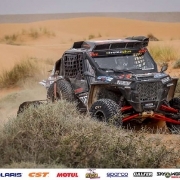 In T3.1 category, excellent result for Team Xtreme Plus thanks to Vincent Gonzalez and Stephane Duple, on Polaris RZR 1000, authors of a good race that took them to the finish of Erfoud in 3h19’55”, nineteenth in the general overall provisional and seconds of T3. In this first stage of the Rallye du Maroc, the Swiss-French crew #362 showed grit and harmony, excellent qualities in view of an increasingly likely participation in the Dakar in Perù. A difficult day for the current World Cup leader T3, the Spaniard José Luis Peña Campos, who brought the Polaris #360 on the finish line with a time of 3h37’21”: some physical illness of the co-pilot Rafael Tornabell Cordoba has made the first day of competition even more complicated also because the navigation in the two selective sectors wasn’t a simple game. The Xtreme+ crew still placed 23rd in the provisional and third of T3. 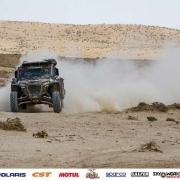 The British Graham Knight and David Watson (#363), after becoming familiar with the route that from Fès has wound in the direction of Erfoud with an initial technical track that followed the first dunes, have completed their special in 3h44’35” placing the Polaris RZR 1000 fifth of T3. 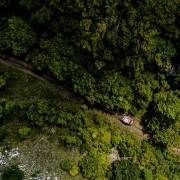 Stage finish line reached in just over 4 hours for Marco Piana and Steven Griener, on Toyota KDJ120, in race to provide fast assistance to the 4 Xtreme+ crews. Saturday October 6th, second round of the Rallye du Maroc with a boucle around Erfoud. For the SSV there will be 36 km of liaison and 281 of SS2 (317 km in total) while for the cars the km of special will be 329 km (+ 36 liaison).